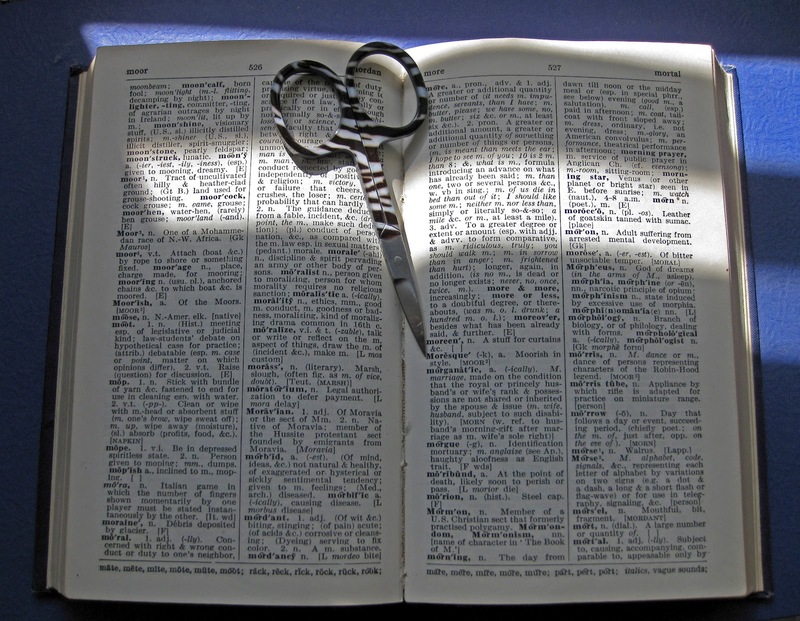 Collins Dictionaries have recently announced they will be cutting certain words from their smaller English dictionaries, because these words are generally seen as obsolete or outdated. But they will remain in their large dictionaries for research purposes etc., until, one assumes, even researchers are not looking for them anymore and they will finally be dropped into the dark waters of oblivion (known as Lethe - from the Greek; a river in Hades that caused forgetfulness in those who drank it.) I'm just showing off something new that I learned. Recent words cut by Collins are: Succedaneum, supererogate, wittols, aerodromes, and charabanc. I only had a vague notion that a charabanc was a carriage of some kind. As a writer, I am very aware of words and their meanings. That is ... how I mean to use them and whether or not the reader will understand how I am, in fact, attempting to use them. If a word is put there for effect, but the meaning - and effect - are unclear; and if it sticks out so obviously that it stops a reader's flow, then I have to rethink that word. This is why I get trusted people to read my manuscripts before I send them off. For instance, take the word facetious. I used it last night in conversation. It fit the bill for me, because the people hearing it understood what I meant. My daughter said that she used the word facetious recently, too, and her friend seemed puzzled by how she used it. They talked about the word, and her friend thought it simply meant being funny or silly, while my daughter said she thought it referred to someone who was making fun of a serious issue in an inappropriate way. Quite different if you think about it. Both appear to be right nowadays, as it happens, although most people used it for centuries the way my daughter used it. (Those who actually still use it, I should add!) However, it does beg the question - if you use a word that has two very subtly different meanings (in this case, referring to a form of humour) is it worth using at all? Maybe this is how words die out. After all, words are communication, so if a number of people do not interpret how you are using a word in conversation the way you intended it to be understood, you may find yourself dropping it as part of your oral vocabulary. Right? I assume that's how words like freck become obsolete in the English language. (Freck means swiftly or nimbly - and it was cut long ago.) I can't even find freck in my 1927 Oxford Dictionary. Freck doesn't sound very nimble or swift to me, anyway! But I like the sound of it. Maybe we could reuse it...to mean running around like a chicken with its head off. i.e. "I spent the day frecking around trying to find my car keys!" I'm familiar with that, for sure. But I am off topic. Again. And yet, according to online dictionaries, it appears to also be defined now as: "given to wit and good humor; merry; sportive; jocular; as, a facetious friend." It's even hard to find an example that shows how it can be used either way with clarity. But that was back in the 17th Century! So is this a word that's on the way out? I think it might be. Here's one for the books - at least one book I just read. Here's a word I'd never seen before and had no idea what it meant when one of my favourite writers, Penelope Lively, used it in her novel, Judgement. Oh, it has a real meaning all right. Does anyone use this word? Can you even pronounce it? I couldn't help but wonder why she used it at all. For effect? To stop the flow of the sentence so we have to look it up? To keep it alive in the language? Because she likes obscure words? Why?? 1. A manuscript on which two or more successive texts have been written, each one being erased to make room for the next. A manuscript page from a scroll or book from which the text has been scraped off and which can be used again. Okay. More or less understood. I will never use it unless I am writing a mystery about ancient scrolls and probably not even then. Sure, this word might be used by people involved with manuscripts, but why on earth did Penelope Lively use it in Judgement? "Like swimmers nearing shore, they headed blindly for home, eyes down. Clare watched with detachment peeling vegetables. She saw behind the palimpsest faces of her children their own previous selves, their infancy, a fleeting succession of Anna and Thomases slipping through her fingers, gone as soon as they had begun." Now remember I had never seen this word before, and had no idea what it meant at that point. After stopping, and thinking about the entire section, I did understand what she was trying to say, but only because of the further description of it. The word itself? Nada. I tried to figure it out, and thought... does she mean their faces are pale? Limp? Limpet- like? What does she MEAN? It stopped the flow of my reading, broke the spell, and the mood of the story for about ten minutes, while I fumbled through my dictionary trying to find it. I suppose most people would let it go, but as a writer I have to wonder what the purpose of using such an obscure word was. Right after reading it, I kind of got it. Faces scrubbed, scraped clean. Maybe she should have used it after the kids had their bath. Am I being facetious? Not sure now. But it isn't the word, but what the writer is communicating to me, after all, that matters, and if I don't "get it" in the flow of the language, then the communication stops. Oh, palimpsest is one of my favourite words! Very good for imagery when a thin layer over another is what you want... Use it all the time. Not joking. I always enjoy learning about words I haven't heard before. The archaic words are the most fun. Thanks for sharing 'palimpsest'! You're welcome! I love learning new (old ;-) words!